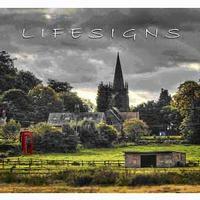 Lifesigns is a music project spearheaded by John Young, composer, keyboards player and vocalist, aided by bass player Nick Beggs (Steve Hackett and Steven Wilson), drummer Martin “Frosty” Beedle (Cutting Crew) and producer Steve Rispin. Add to this line-up some guest appearances from Hackett, Thijs van Leer (Focus), Jakko Jakszyk and Robin Boult (Fish) and the result is a wonderful life-affirming collection of five compositions, all penned by Young, that bring together the influences of the 70s classic rock age and re-ignite them with modern music idioms. Ever the journeyman in music (his CV including Asia, Greenslade, Uli Jon Roth and The Strawbs), Lifesigns is the album which will elevate Young to master craftsman – such is the beauty and warmth of the music. This is full of infectious hooks, dreamy passages and virtuoso performances. “Lighthouse” begins with eerie distant sounds before the breezy melody line enters. That melody line is full of sweet synth sounds, a huge bass line and precision drumming, along with Young’s mellifluous voice and Beggs’ tight harmonies. A gentle piano section slows it all down before it embarks on another sonic journey, picking up some of Hackett’s guitar en route. It is the ending which is the most spectacular part, a wall of sound comprising thunderous bass pedals topped with Boult’s guitar soaring ever higher into the ethers followed by a huge thunderstorm and the sound of sea birds. This is probably the most commercial of the five. Its funky bass and beat intro leads into a catchy melody. The strong points are the close harmonies between Young and Beggs on the song’s tightly packed instrumentation which includes some subtle guitar from Jakszyk. 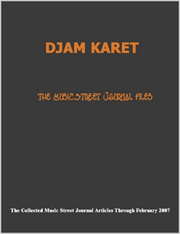 It flows and evolves without ever losing its shape or sonic impact. This piece rekindles the memories of the past classic rock canon, Beggs’ enormous bass riff and Beedle’s pared back beat making way for Young’s intricate keyboards and Hackett’s acoustic guitar. There are elements of Yes in the vocals, sung high and with a cosmic vibe to the lyrics, before a dream team sequence of van Leer’s ethereal flute and Hackett’s searing guitar provides the middle passage. “At The End of the World” again offers a simple, compelling melody featuring Beedle’s metronomic drumming and Young’s subtle keyboards early. Beyond that it starts building with cascades of piano and another other worldly synth sequence with lots of texture and atmospherics. Gathering speed and momentum, its uplifting finale finishes on a very high note. “Carousel” is the tour de force with a whirlwind of sound spinning out of the speakers from the outset. This is Beggs performing some sonic wizardry on the Chapman Stick which merges into a solid keyboard chords/bass combination. That gives Young the perfect platform from which to launch his most affecting vocals on some particularly poignant lyrics laced with spiritual imagery and aspirations. Van Leer also provides a lovely flute accompaniment before it all spins away in another Yes-like frenzy. It even picks up a Patrick Moraz-style piano section and some frenzied drumming from Beedle before it all melts away gently again.